Are you looking to get back into the job force? Are you currently on income support or would qualify for income support if you applied? 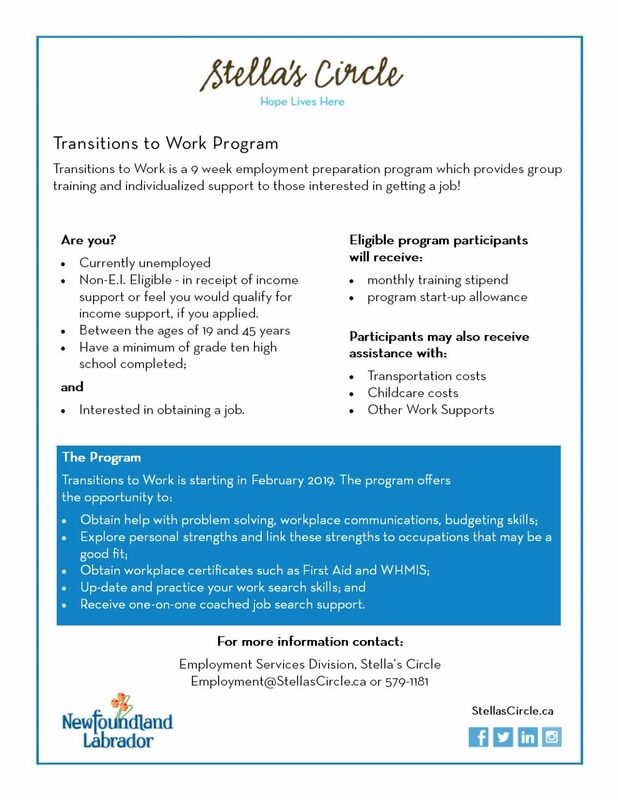 Stella’s Circle is offering Transitions to Work, a 9-week employment readiness program starting in February. Our employment Counsellor will help you build your resume, practice your interview skills and connect you with employers! Our priority is to connect you with employment or school. For more information contact: employment@StellasCircle.ca or 579-1181.